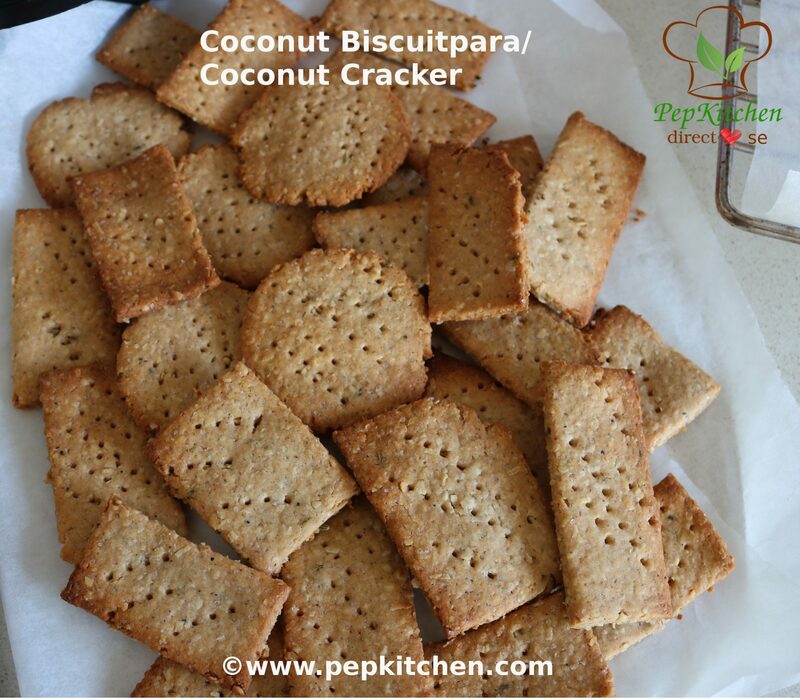 Coconut Biscuitpara/ Coconut Cracker is a variation of traditional Indian snack “shankarapara”. 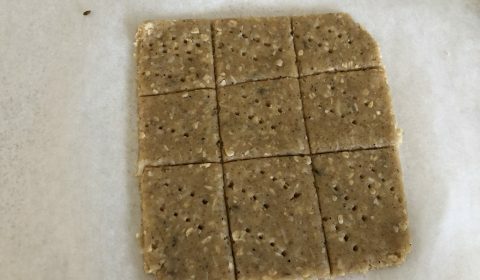 It is healthy, is baked and is made with wholewheat flour and oats. It is made by adding coconut and sugar to the flour. 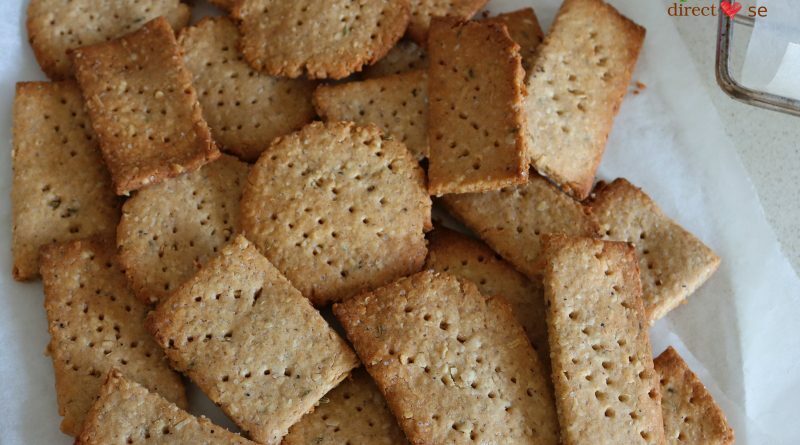 It is flavored with fennel seeds and cardamom powder. You can also deep fry instead of baking. 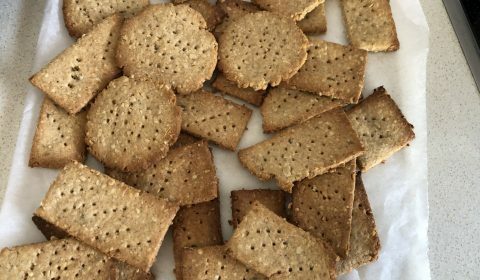 It is a very healthy and delicious snack and can be enjoyed with a cup of tea or coffee. Enjoy baking it during festivals and delight your family and friends!! A combination of “Biscuit” and “para” from Shankarpara = Biscuitpara. This is what we used to call this snack delicacy that my mom used to prepare for us during the festivals of Janmasthami, Diwali and Holi. My mom used to make them thick and cut them into diamond shape. 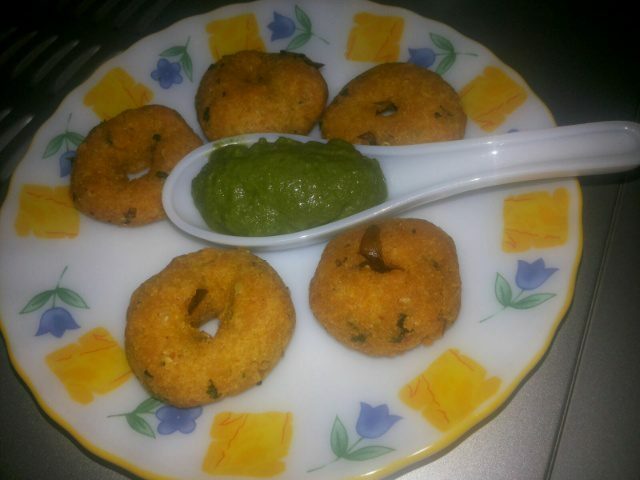 She used to make them with all purpose flour (maida) and then deep fry them. The flavor of coconut and the smell of cardamom is simply irresistible. 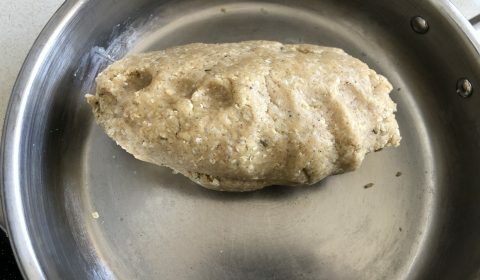 It is crispy like a biscuit and hence, as children, my brother and I used to call it as biscuitpara instead of shankarpara. Since now-a-days, we avoid eating fried food and are calorie conscious, I have baked the biscuitpara. Also I have made it healthier using whole wheat flour and oats. My son and husband love them a lot and I am super happy to introduce my favorite childhood snack to my son. Friends, do make this healthy version of shankarpara and enjoy it guilt free at any time of the day!! 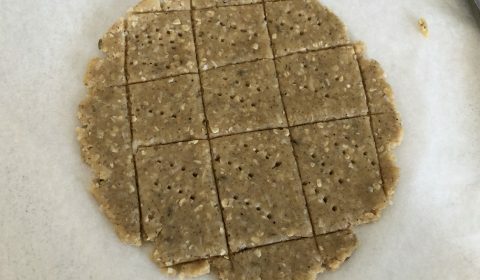 Coconut Biscuitpara/ Coconut Cracker is a variation of traditional Indian snack "shankarapara" and it is healthy and it is baked and made with wholewheat flour and oats. It is made by adding coconut and sugar to the flour. 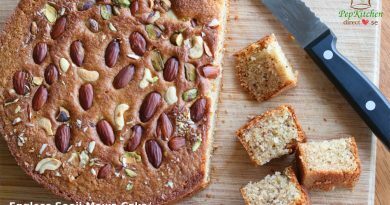 It is flavored with fennel seeds and cardamom powder. You can also deep fry instead of baking. 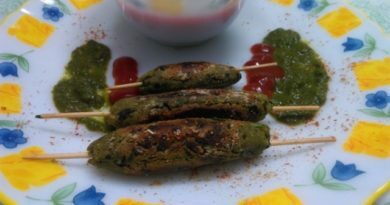 It ia a very healthy and delicious snack and can be enjoyed with a cup of tea or coffee. Enjoy baking it during festivals and delight your family and friends!! 0.5 cup sugar I have used raw sugar. 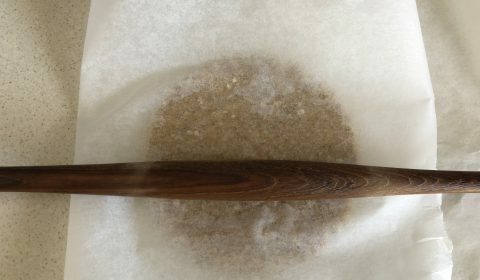 You can also grind the sugar and use. 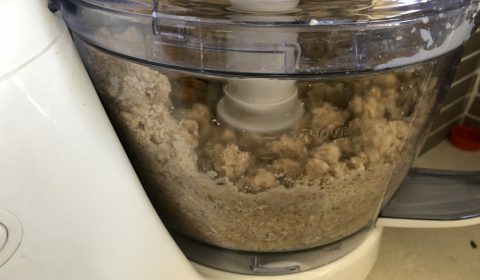 In a food processor bowl or a mixing bowl add whole wheat flour, oats, desiccated coconut, fennel seeds, cardamom powder,sugar, salt and baking pwoder. 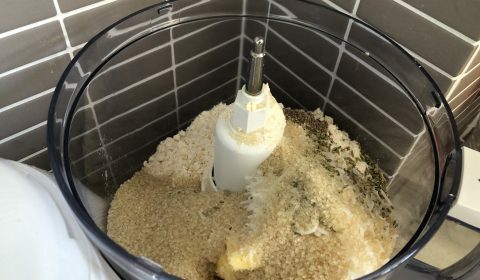 Close the lid and pulse food processor for few times. 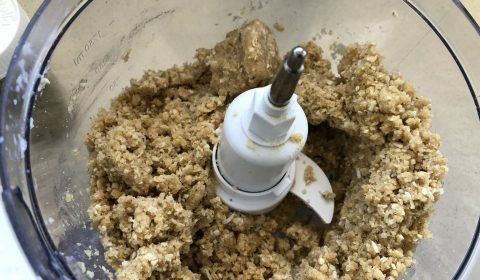 The mixture will get the crumbs like texture. (Or with the finger tips mix all the ingredients gently till they get the crumb texture if mixing in a bowl). Add milk and pulse all the ingredients. (If mixing with hands, gradually add milk and knead the flour). 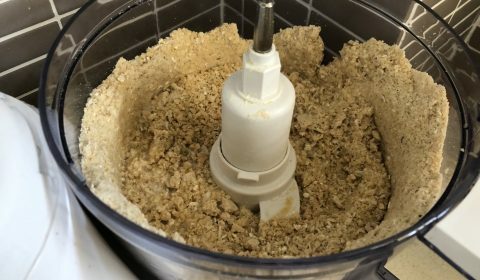 The mixture will start to come together in the food processor. Remove the mixture in a bowl and knead it gently to form a dough. Cover and keep aside for 20 minutes. Divide the kneaded dough into equal portions. Take one portion and make a ball. 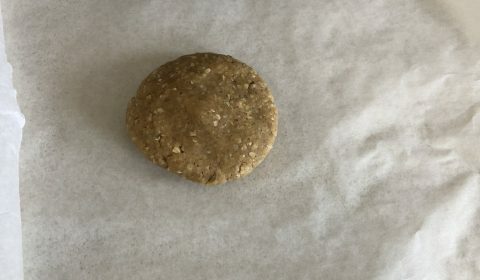 Take a butter paper or greased plastic sheet and flatten the prepare ball on it. Cover the flatten ball with another sheet of butter paper or greased plastic sheet and start rolling. Roll the ball into a circle with 4mm thickness. With the help of knife or pizza cutter, cut into squares or rectangles. Prick the surface the rolled dough with fork. Line the baking tray with baking paper or grease it with butter. 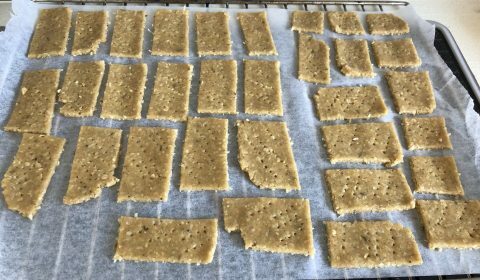 Put the cut pieces on the lined baking tray and bake for 20-25 minutes in a preheated oven at 180 C.
The biscuitpara are ready and remove them from oven and keep aside to cool. 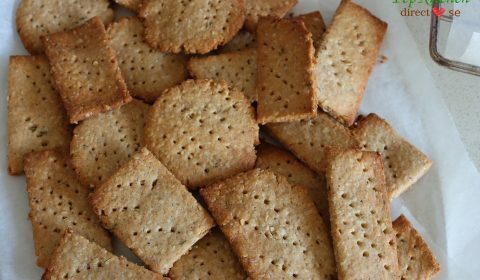 Enjoy the healthy and delicious biscuitpara with a cup of tea or coffee. Pack them in your kids lunchbox or give them as an afternoon snack. The biscuitpara can be stored for 15 days in an airtight container.